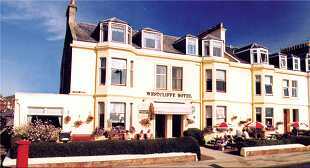 The Westcliffe Hotel is the only hotel situated on Girvan's seafront and offers magnificent views over the firth of Clyde to the distinctive profile of Ailsa Craig, with the Isle of Arran, the Kintyre peninsula and the Irish cost beyond. 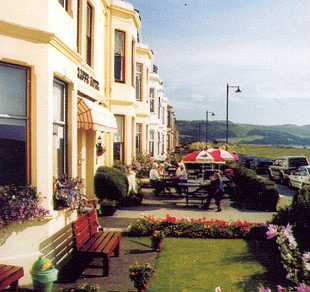 The hotel has a splendid location close to the promenade, putting greens and boating lake, and is only a few minutes stroll from the swimming pool, picturesque harbour and town centre shops. Robert and Jane Jardine have been welcoming guests to the Westcliffe Hotel for over 40 years, with daughter Elizabeth (awarded 'Student of the Year' at Ayr catering college) also fully involved in the day-to-day care of guests and visitors.